October 4, 1957: a little 83.6 kg (184 lb) object entered the microgravity environment of Low Earth Orbit. With this unprecedented achievement, the Union of Soviet Socialist Republics became the first nation to place an artificial satellite into orbit. 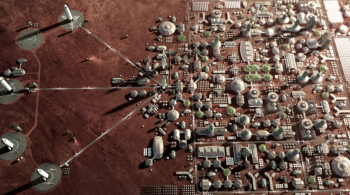 Now 60 years after the inauguration of the Space Age, SpaceX has plans to establish a human settlement on Mars within the next decade – plans that are ambitious and carry numerous technical challenges that harken back to how the Space Age first began. It was, to say the least, ambitious. What ultimately became Earth’s first artificial satellite dates to 17 December 1954 when chief Soviet rocket scientist Sergei Korolev proposed the creation of an artificial satellite. 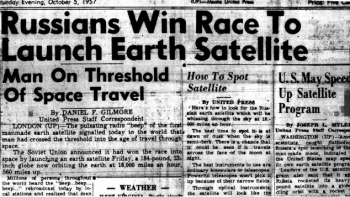 The idea didn’t gain widespread traction within the Soviet military until 29 July 1955, when U.S. President Dwight D. Eisenhower announced that the United States would launch a satellite during the International Geophysical Year, which would extend from 1 July 1957 to 31 December 1958. One week after President Eisenhower’s announcement, the Politburo of the Communist Party of the Soviet Union officially approved the proposal to create an artificial satellite. The satellite was called “Object D” and would have a total mass of 1,000 to 1,400 kg (2,200- 3,100 lb) and would carry 200 to 300 kg (440-660 lb) of scientific equipment. Object D was to have an expected orbital lifetime of only 7 to 10 days and would be tasked with numerous scientific experiments, including measurement of the density of Earth’s atmosphere and its ion composition, the solar wind, magnetic fields, and cosmic rays. Six months into Object D’s development, difficulties in creating the scientific instruments and the low specific impulse of the completed engines for the R-7 made Object D’s launch within the International Geophysical Year extremely difficult. The USSR shifted gears, accepting a new proposal for two smaller satellites of 100 kg (220 lb). This plan was approved on 15 February 1957 by the Council of Ministers of the USSR, which designated the satellites Object PS-1 and Object PS-2 – with PS standing for Prostreishiy Sputnik, which itself means the “simplest satellite”. The new artificial satellite project was officially greenlit for launch on board an R-7 rocket variant – Sputnik 8K71PS. The Sputnik 8K71PS rocket arrived at the launch site – the 5th Tyuratam range (now known as the Baikonur Cosmodrome) in Kazakh Soviet Socialist Republic – on 22 September 1957 and was a two-stage to orbit liquid-fueled (liquid oxygen and kerosene) rocket standing 30 m (98.4 ft) high and 2.99 m (9.8 ft) in diameter with a total mass of 267,000 kg (589,000 lb). 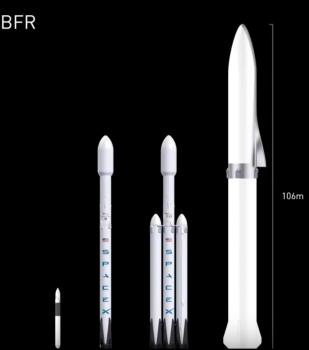 At liftoff, the first stage, consisting of 4 RD-107 engines (one for each strap-on booster), was designed to produce a total thrust of 3.9 MN or approximately 880,000 lbf. After booster burnout and separation, the second/core stage with its single RD-108 engine producing a total thrust of 912 kN (205,000 lbf) would take the payload to orbit. 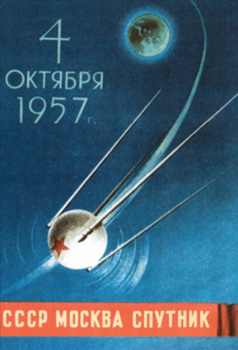 On 4 October 1957 at 19:28:34 UTC, 5 October at the launch site, the Sputnik rocket lifted off from Site No. 1/5 at the 5th Tyuratam range – the same pad Yuri Gagarin would launch from in April 1961 – and began its journey to space. The strap-on boosters burned out and separated 116 seconds into the flight and core stage engine cutoff occurred 295.4 seconds (4 mins 55.4 seconds) after liftoff. At liftoff, Object PS-1 was intended for a 223 by 1,450 km (139 by 901 mi) elliptical orbit with a period of 101.5 minutes. However, several factors during launch led to a performance shortfall, with Object PS-1 actually entering a 223 by 950 km (139 by 590 mi) orbit with a period of 96.2 minutes. What was not publicly released for several years is that the launch of Earth’s first artificial satellite came extremely close to failure. At liftoff, one of the strap-on boosters did not obtain full thrust, resulting in a thrust imbalance that pitched the rocket over by 2 degrees six seconds after liftoff. The onboard guidance system responded by rapidly moving the vernier engines and stabilizer fins to try to correct the pitch error but was unable to fully compensate for the thrust imbalance. It was only when the affected booster reached 100% thrust that the flight stabilized just one second before the rocket’s pitch angle would have breached safety limits and resulted in a thrust termination command to end the flight less than 10 seconds after liftoff. Simultaneously, 16 seconds after liftoff, a fuel regulator in the core stage failed, resulting in an excessive kerosene consumption rate of the core stage engine – which in turn caused an engine overthrust of approximately 4%. The abnormally high kerosene consumption rate depleted the propellant 0.6 seconds before intended core stage engine cutoff and resulted in the rocket’s onboard systems issuing a thrust termination command when the on-board sensors detected an over speed of the empty kerosene turbopump. Despite these two extremely close calls, the first artificial satellite successfully slipped into orbit at 19:34:29.4 UTC on 4 October 1957. Initial signals from Object PS-1 were received at the IP-1 tracking station where the now famous beep-beep-beep tones from the satellite confirmed the object’s successful deployment. Ninety minutes after liftoff, the satellite passed near the launch site, allowing teams on the ground to confirm the satellite had completed a successful single orbit of Earth – at which point Soviet Premier Nikita Khrushchev was notified that the USSR had succeeded in placing the first artificial satellite into orbit. The space age was here. Quite remarkably, the first attempt to launch the very first artificial satellite worked, despite the immense odds against its success. 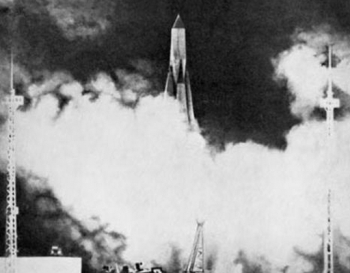 Rocketry was in its infancy, and the USSR and the US were no strangers to rocket failures. 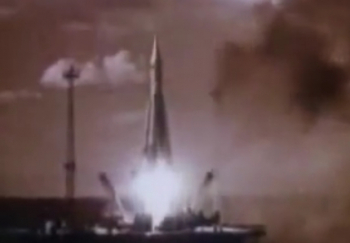 Unsurprisingly, launch of the first artificial satellite sent shockwaves around the world. 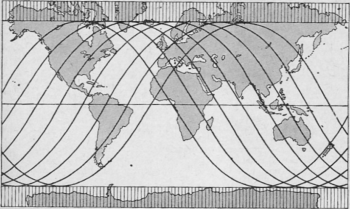 The general public was taken almost completely off-guard by the Soviet Union’s success – this despite the Soviet Union publicizing the frequencies upon which their satellite would broadcast ahead of launch. More so, the size and mass of the satellite and the power of the Sputnik rocket shocked everyone – military and civilian – outside the Soviet military hierarchy. Object PS-1’s launch weight of 83 kg (184 lb) dwarfed the U.S.’s first planned satellite, which was only 9.8 kg (21.5 lb). Moreover, U.S. officials had estimated that Soviet rocket technology was only capable of producing 200,000 lbf (890,000 N) of thrust at liftoff. Thus, the launch led to a significant investment in the United States in science, engineering and mathematics at all levels of education and ignited the Space Race between the US and the USSR. With its launch, Object PS-1 was an instantly known international entity; however, it would not have its now-iconic name, Sputnik (which means “fellow traveler [of Earth]”), applied to it until several years after its mission. Perhaps most importantly, the first artificial satellite was scientific in nature – not militaristic. 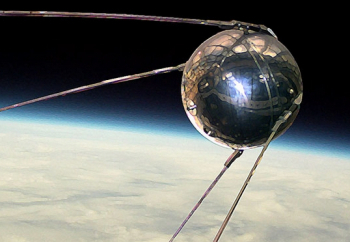 As such, the first use of outer space was peaceful, and Sputnik 1 served to answer a pivotal legal question of the time – an answer to which, had it gone the other way, could have had profound ramifications for world peace and the exploration of space that followed. This definition was meant to establish that nations had jurisdiction over air travel in the airspace directly above their borders. In 1919, no one thought – nor could they have imagined a need – to define whether that sovereignty extended into space. Thus, in 1957, the question remained: does airspace sovereignty extend into outer space? If it did, the Soviet Union would be in violation of international law by launching Sputnik into an orbit that passed over every country without their permission. 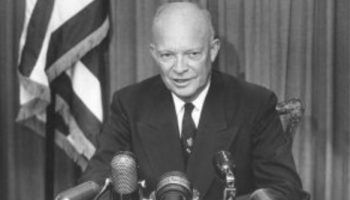 Upon Sputnik’s launch, President Eisenhower provided an answer to the extent of airspace sovereignty when he accepted the Soviet Union’s right to operate a satellite in orbit over U.S. territory. While that tacit acceptance from the Eisenhower Administration was self-serving, as the United States intended on over-flying Soviet airspace with its own spy satellites, it nonetheless solidified the ability for any nation to operate any satellite in Earth orbit. Had the answer gone the other way, it would have effectively ended orbital space exploration and/or severely jeopardized world peace. After all, this was the Cold War and the rocket upon which Sputnik was launched was a modified ICBM designed to deliver a thermonuclear warhead against an enemy. With Sputnik and the acceptance of orbital overflight, space was now open to any country with the technical ability to create functioning rockets. Thanks to Sputnik, we now live in an era where our daily lives are incredibly dependent on our satellites overhead. 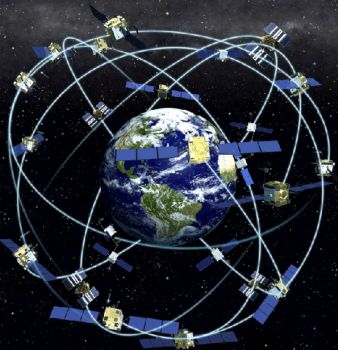 From our ability to communicate with anyone on Earth and aboard the International Space Station instantly, to our ability to get into our cars and use satellite navigation and real-time monitoring of traffic patterns to arrive at destinations quickly, our daily lives are inseparable from space. Sixty years ago, a dependence on artificial satellites for everyday life was the work of science fiction. Moreover, we now live in a time when another work of science fiction aims to become science reality within the next decade. References to commercial spaceflight are present in the OST, yet it’s doubtful that those who crafted the agreement envisioned the scenario we find ourselves in today, with private companies launching their own rockets and their own satellites and developing plans to establish commercial, not governmental, outposts in Low Earth Orbit and beyond. While the OST unwaveringly states that all uses of space must be peaceful and for the benefit of all, SpaceX’s plan to establish a permanent human colony on the surface of Mars exposes some challenges to the framework while harkening back to the same forward thinking ambition that led to Sputnik 60 years ago. 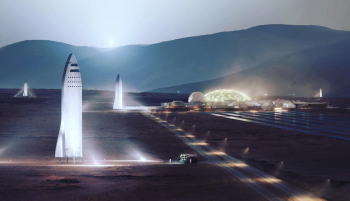 Make no mistake, the technical challenges SpaceX will face in the development of the BFR transportation system and in actually establishing a permanent human colony on Mars are numerous and not to be taken lightly. But SpaceX has a way of making the impossible possible. Sixty years ago, few thought this particular day would bring the start of the Space Age. 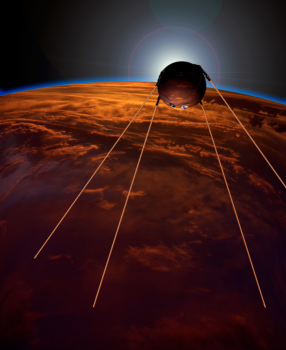 The technical challenges to Sputnik were immense given the technology of the time, and its development timeline was incredibly compact. Likewise, technical challenges and a compact timeline are just two elements SpaceX’s colonization efforts share with a Sputnik effort. 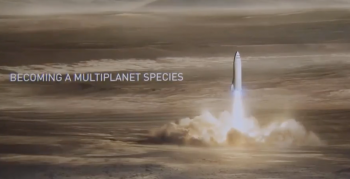 At its core, SpaceX’s plan for Mars includes numerous firsts – including the creation of propellant depots to allow for the return of the craft from Mars, the creation of permanent, inhabited structures on the surface of another world, a need to utilize resources present on Mars instead of bringing every item needed along on the journey, and a requirement that hundreds of people willingly uproot their lives from one planet to live on another. While the challenges will be difficult and numerous, they are – importantly – not insurmountable. 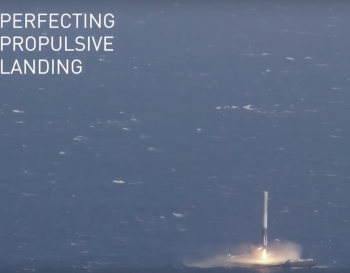 Three years ago, the space industry was full of adamant voices that propulsive rocket autonomous landings either on a drone ship or back at a landing site was not possible. Today, those rocket landings aren’t just possible, they are a growing and seemingly routine reality for SpaceX missions – with numerous other rocket companies now starting to implement various recovery efforts themselves. When SpaceX finally began recovering their first stages, those same voices said reuse would not prove viable and that customers would be dubious. SpaceX now stands ready to reuse their third Falcon 9 first stage booster since re-flight operations began just over four months ago, with more customers, including the U.S. federal government, coming onboard to the idea of reuse as a safe and cheaper way of lofting payloads to orbit. 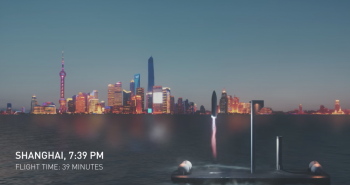 Closer to home, Elon Musk’s reveal last week that BFR could also be used for point-to-point transportation anywhere on the surface of Earth in less than an hour was met at first with wide eyes and surprise, with many noting after the fact that that type of travel would completely disrupt air traffic control and pose great problems for the current structure of air travel. And these conversations are pivotal. But updating air travel regulations, rules, and control are not insurmountable. In fact, the Iridium corporation, set to launch its next batch of ten satellites next week, spoke at length about air traffic control upgrades/updates to NASASpaceflight.com earlier this year. No one denies the technical risks associated with any of SpaceX’s plans. 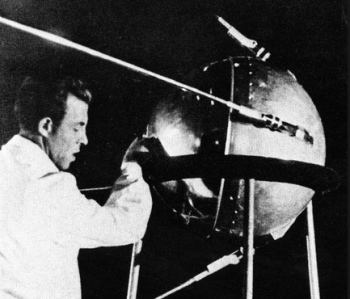 No one denied the technical risks involved with launching Sputnik 60 years ago. But an ambition to do something new and a desire to overcome the technical obstacles therein led to the opening of a new frontier and the proliferation of technology that has arguably made our daily lives far easier. For SpaceX, that desire to do something new and the ambition to overcome the technical obstacles contained within speak to the very reason we go to space and how space and can continue to improve our daily lives. Are their plans ambitious? Yes. Are they technically challenging? Definitely. Are they tied to the very ambition that has been at the heart of space exploration for the last six decades? Absolutely! In 1957 we put an 83 kg (184 lb) object into Earth orbit for three months. Now, 60 years later, we can finally say that there is – at least – a plan to put humans on the surface of another planet within a decade.